Please join us today for Ritual brownies, gourmet chocolates and Tisha & Cam's signature cocktails! Posted in Uncategorized | 0 Responses to ""Holidays in the Promontory", Join Us Today for Our Open House 12-4:00 pm"
With an almost $400,000 price reduction of this beautiful home in the highly desirable neighborhood of Painted Sky in Promontory includes the furniture and social membership deposit, making it an incredible home at a great price! Posted in Uncategorized | 0 Responses to "Huge Price Reduction"
Just 20 minutes from Park City the private 12 lot subdivision of Summit Haven is tucked on the bluff above the Upper Provo River right about at the cross roads of Hilltop Road and Hallam Road. With large lots and streets that service just these 12 home sites, it's a peaceful country setting. Lot 12 is just over .7 acres and is ideally situated to have great southern exposure out the front of the home site. It's a large flat lot that will work well with a variety of floor plans. Roads are paved this home site is ready to go! 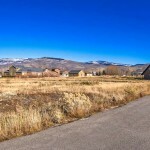 Posted in Uncategorized | 0 Responses to "Easy Flat Build Lot in Cozy Neighborhood"
Silver Gate Ranches is located minutes from Park City Main Street, Deer Valley and the Jordanelle & sits just outside of Promontorys West Gate. The expansive mountain meadow setting offers stunning views of the Wasatch Back with large home sites ranging between a half acre to over an acre. A number of homes have already been complete in this up and coming neighborhood and there are several more currently under construction. Enjoy the views without the dues of a private gated community. Posted in Uncategorized | 0 Responses to "Desirable Neighborhood Lot with Views"
Fantastic development opportunity in Old Town at the corner of Park Avenue and 11th Street just a few blocks from Main Street and kitty corner to City Park. Parcel has 50 frontage on Park Avenue and is 137 deep on 11th street. Currently platted as 3 separate lots, there is no existing structure and it is zoned HRM, Historic Residential Medium Density. 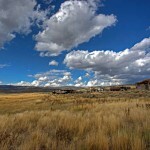 Posted in Uncategorized | 0 Responses to "Old Town Development Opportunity"
Prepare to be impressed! This lovely 2 story home in Country Meadows Estates demonstrates pride in ownership throughout. 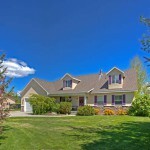 From the lush fully landscaped yard to meticulously maintained interior you will not find a nicer home at this price in Heber Valley. Terrific floor plan with mudroom & laundry right off the garage, roomy kitchen with separate breakfast bar and dining room, a French door that walks out to patio & backyard along with a flex room that could be used as a bedroom, den or formal dining all on the main floor. 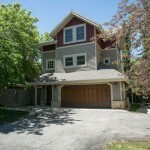 Upstairs youll find a generous master suite with spacious walk in closet and two more bedrooms. In addition to being well loved over the years there maple floors in the kitchen and numerous built-in custom cabinets throughout. You will be sorry if you miss this one!! Posted in Uncategorized | 0 Responses to "Charming & Pristine Two Story Home"
Super cute 2 bedroom Bear Hollow Condo located just across the street from the clubhouse with fitness facility, swimming pool and hot tub. 10 minute walk to Redstone Center which offers great dining, shopping, entertainment & movies. On Free bus route. Building backs to 389 acres open space and Olympic Park. 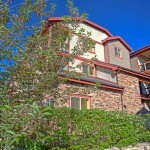 Taking advantage of the world renowned biking, hiking, golfing, and skiing within minutes of your door are just some of the benefits this great condo will offer its new owner. 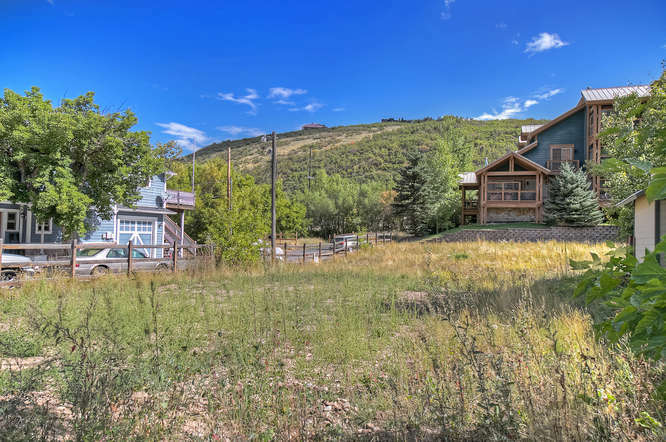 Posted in Uncategorized | 0 Responses to "Great Bear Hollow Condo"
Just a quick walk away from the countrys largest future ski resort this wonderful Old Town home has an epic location to enjoy Park Citys recreational lifestyle all year round. Spoil yourself with luxuries finishes and bedrooms each with private baths all just a short walk away from skiing, riding, hiking, mountain biking, ice skating, restaurants and the year round fun and entertainment of the PCMR village. 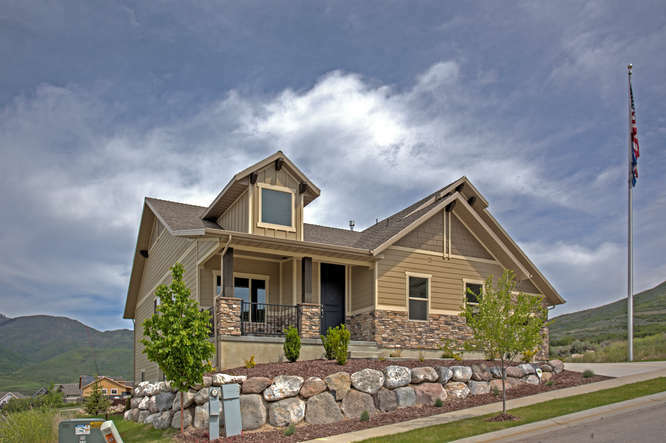 Posted in Uncategorized | 0 Responses to "Gorgeous Home with Epic Location, Walk to Vails Park City Mountain Resort"
Meandering tree lined streets with large home sites have established Wild Willow as one of the most popular and sought out neighborhoods in Kamas Valley for well over a decade. The rural residential character of the neighborhood is enhanced by custom homes with individual style and character. Centrally located in the neighborhood, this charming 2 story home sits on a beautifully landscaped half-acre lot, great kitchen layout with granite counter tops and wood floors, main floor master suite, and a formal dining or formal living room. Wild Willow is located within 45 minutes of Salt Lake Valley, under 20 minutes from Park City, and less than a few minutes to Kamas shopping and restaurants. Posted in Uncategorized | 0 Responses to "Charming House in Wild Willow"
This gorgeous home sits nestled in the heart of Holladay at the end of a lovely private lane. Finished with every detail in mind and design that should be featured in Restoration Hardware, this house will be the future home of a very happy new owner. Entertain in the charming fully landscaped, low maintenance back yard or cozy up next to the beautiful fireplace in your great room and enjoy life. Whether youre an empty nester looking to downsize and simplify or a growing family looking for room to grow this home offers flexibility and best of both worlds. 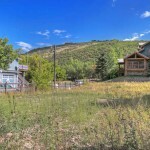 Posted in Uncategorized | 0 Responses to "Gorgeous Holladay Home"
Centrally located in Old Town this delightful home is just a few blocks walk on the paved trails of City Park to Lower Main Street and another few blocks walk west to Vails Park City Mountain Resort. With City Park just across the street the home has abundant light, is on a flat lot, and has all the conveniences of newer construction plus a two car garage with extra room for storing all your gear. This is a great opportunity for a primary residence, second home or vacation rental. 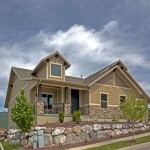 Posted in Uncategorized | 0 Responses to "Outstanding Year Round Location in Old Town with 2 Car Garage and Resort Views"
Among the most sought after locations in Promontory is Painted Sky, with large home sites, breathtaking mountain views, all in easy walking distance to Promontory's endless amenities. 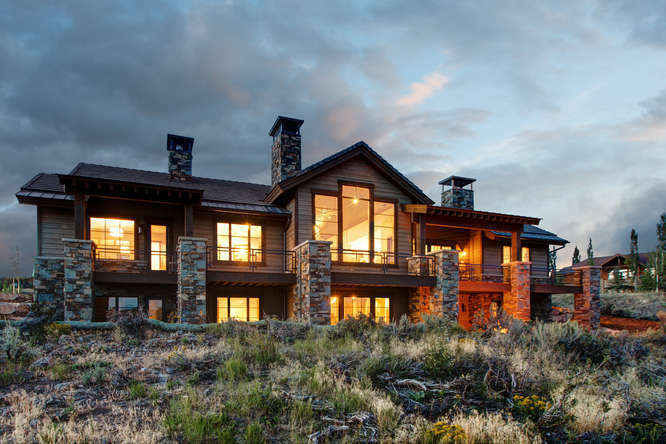 The timeless architecture and fresh elegant style of this unique residence is a perfect balance of modern mountain design. With views from every room and no detail overlooked, the luxury features include two elegant master suites, custom white oak cabinets, Wolf Sub Zero appliances, radiant heat and air conditioning, en-suite baths for every bedroom, four fireplaces, expansive outdoor space and a beautiful heated paver driveway. 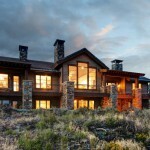 A social membership to Promontory Ranch Club is included with the purchase. Posted in Uncategorized | 0 Responses to "Unique Home and Incredible Location"
Been Thinking About Moving Up Out of the Valley For Some Fresh Air? Posted in Uncategorized | 0 Responses to "Been Thinking About Moving Up Out of the Valley For Some Fresh Air?" Two Wheels or Four Legs? Another big weekend is in store for biking enthusiasts in Park City. 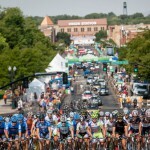 The Tour of Utah Stage 5 and Stage 6 will be racing through town this Saturday (August 11) and Sunday (August 12). This pro road bicycling race began in 2004 and takes riders over Utahs mountain climbs and diverse terrain for six grueling days. This year, six professional teams will be among the seventeen teams participating in the event. 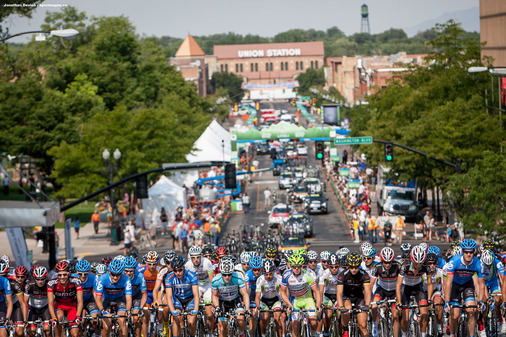 Called Americas Toughest Stage Race due to the altitude and heat factors, it begins in Ogden on the first day and ends in Park City on the final day. It is a true test of rider endurance. The Summit County Fair, which begins on August 4th and runs through August 11th, celebrates the end of summer for our locals. This year, the fair is celebrating its 100th year. A yearly highlight is the arrival of the PRCA Pro Rodeo for the final two days, August 10th and 11th. The rodeo begins at 8:00 pm and takes place at the Summit County Fairgrounds, 202 E. Park in Coalville. Bring the family, check out the livestock and all the other fun activities and stay for the rodeo to watch the cowboys flying high! Posted in Uncategorized | 0 Responses to "Two Wheels or Four Legs?" This weekend is huge for biking enthusiasts in Park City. Everywhere you go, large groups of cyclists have been flying by in preparation for the Tour de Park City taking place this Saturday, July 28th. Test your endurance on the 157 mile race course from Richardson Flat Road, just outside of Park City, all the way to Evanston, Wyoming, up 10,500 feet over Bald Mountain Pass and finishing through Kamas on the return trip to Park City. For those who are not so driven to ride 157 miles, but would still like to participate, there are three shorter courses: a 100 mile Gran Fondo which climbs Wolf Creek Pass twice, a 50 mile Medio Fondo, and a 15 mile Piccolo Fondo. Pick your poison and ride on! 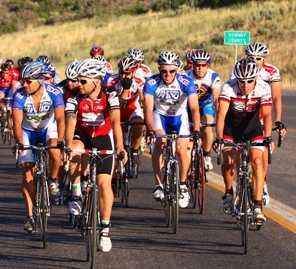 The KPCW Cycling Festival is being held in conjunction with the Tour de Park City. This takes place at The Yard at Bonanza Park. Many family friendly events are scheduled throughout the day and pre-registration for bike tours is available at cbywater@kpcw.org . Posted in Uncategorized | 0 Responses to "Feelin' The Need To Be Wheelin'"
July 28th begins an extraordinary, eight-day local workshop for five hand-selected, college and graduate level art students to gain the knowledge it requires to turn their artistic talents into a full-time career. Relevant 2012 gives these creative young artists an opportunity to work with art mentors, network with industry professionals, and participate in panel discussions with peers and pros alike. At the programs conclusion, these five artists work in sculpture, painting, mixed media, and photography will be on display at the Kimball Art Center beginning August 4th and running through September 30th. The annual Kimball Arts Festival will be held August 3-5th. For the 43rd year, Park City is host to over 200 of the countrys best artists, featuring work in their varied categories. Main Street is turned into an outdoor art exhibit from top to bottom with live music, food, art film screenings and some of the most innovative, creative art from across the nation. This summertime event is one of Park Citys most popular and is expected to bring a minimum of 45,000 visitors to town. 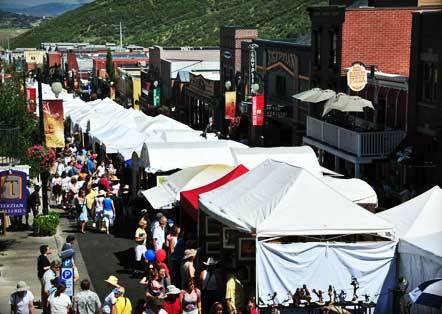 Posted in Uncategorized | 0 Responses to "Art in August is Relevant"
Summer in Park City is officially in full swing! Despite a lack of rain, which wisely forced the cancellation of all fireworks on the 4th of July, visitors and residents alike enjoyed plenty of entertainment over the holiday. Last years wildly popular performers, The Soulistics, returned once again to headline the July 3rd evening concert. The Salt Lake City-based band combines powerful horns, a rocking rhythm section and searing vocals to bring the music of funk greats such as James Brown, Aretha Franklin and Earth Wind & Fire to their shows. Wednesday morning started off early with the traditional pancake breakfast and 5K run. Spectators enjoyed the 11:00am flyover by the Air Force to announce the start of the parade. Food, beverages, and live musical entertainment were served in City Park throughout the day. And, of course, the Rugby games continued into the evening. 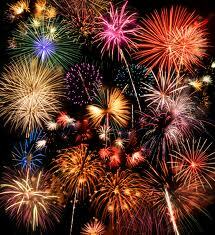 All in all, it was a great day to celebrate our nations independence. Posted in Uncategorized | 0 Responses to "2012 Fourth of July In Park City"
This past weekend was one of Park City Locals most anticipated events of the summer, Savor the Summit. Once a year, Main Street in Park City is closed down for the day and a dining table is stretched from one end of the street to the other. Some of the finest restaurants in town decorate their section of the table and over two thousand people come to dine and be entertained by an evening concert. Park City is known for the award winning dining that it has to offer and this event is somewhat of each chefs showcase to the local crowd. Each restaurant serves multiple courses of its gourmet faire and offers a unique dining experience. Savor the Summit is when local Park City comes alive. Posted in Uncategorized | 0 Responses to "Savor the Summit"
Don't Forget Mother's Day! Take Mom To A New Biking Movie! May is here and its time to get out and enjoy Park City, Utah! The community is hosting a jubilee of activities this week. Bring out the whole family or just some friends, get active and have fun! 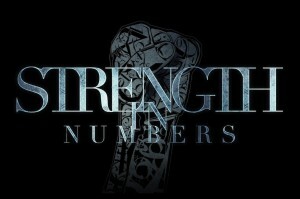 Strength in Numbers is a new mountain biking movie that brings the cycling community together. This film includes cycling clips from easy switchbacks to dropping off cliffs. All riders are welcome and encouraged to show their pride. 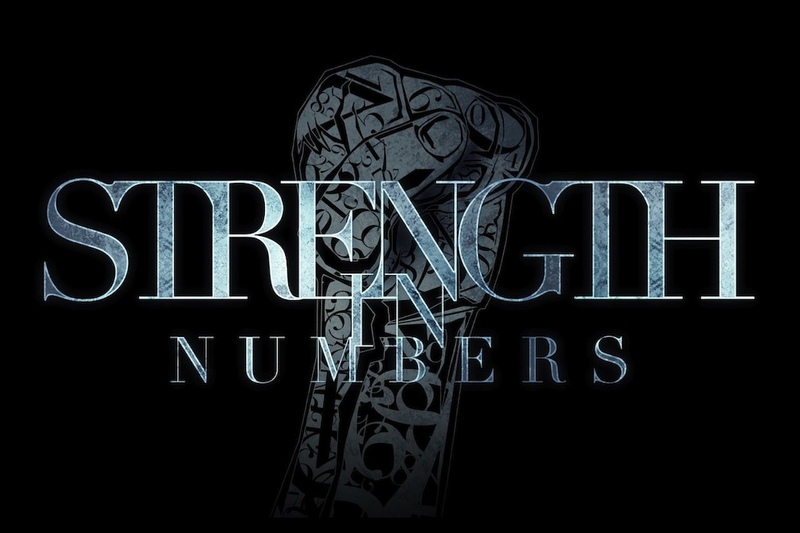 The film premiers on Wednesday, May 9th @ 7:00pm at the Jim Santy Auditorium. Thursday, May 10th, there will be a Mothers Day Luncheon at the St. Marys Church off Highway 224. There will be food, music and a speaker. For reservations, call 435-658-4739. The Park City Film Series is putting on another movie, The Fight to Rescue American Healthcare. It showcases the political fight over the nation's current healthcare issue. Is it a health-care or disease-care system? This movie will be shown on May 10th @ 7:00pm at the Jim Santy Auditorium. Bird lover? Come out to the Swaner EcoCenter for the Guided Bird Walk May 12th from 7:30am to 9:30am. Coming up next week: Buck Brannaman film screening,The Disco Ball at Stein Erickson Lodge and Cole Sport bike swap. Posted in Uncategorized | 0 Responses to "Don't Forget Mother's Day! Take Mom To A New Biking Movie!" Looking to get away? Park City, Utah is where you want to be this spring! Starting Thursday, April 27th, The Egyptian Theatre is hosting a unique series of films that showcase Park City, The Park City Follies: End of Days 2012, ongoing from Thursday to Sunday during the following dates: 4/27 to 5/5. These films showcase the local lifestyle, events, and atmosphere. At the Park City Ice Arena, there is a fun hockey tournament going on this weekend! The Muddy Puck Spring Fling Coed Hockey Tournament is happening ( 4/27 to 4/29). If you havent registered, you can still head on over and have a great time watching the local community compete. The Park City Film Series is hosting another movie this weekend (4/27 to 4/29) at the Jim Santy Auditorium. Albert Nobbs is a thrilling film that showcases Oscar nominee, Glenn Close with Janet McTeer, Jonathan Rhys Meyers, Brenda Fricker, and Brendan Gleason. On Saturday, April 28th, The Swaner Nature Preserve and EcoCenter are presenting a discussion and display to guide the local community on Gardening at High Altitude. They will cover topics on how to have better growth, explain which plants thrive here and much, much more. more great films at the Park City Film Series, Cinco de Mayo and Curling at the Park City Ice Arena! 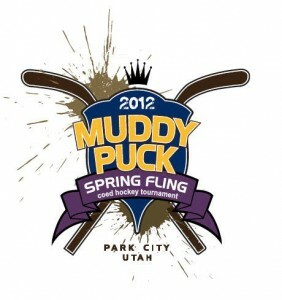 Posted in Uncategorized | 0 Responses to "Muddy Puck Hocky Tournament!"